A large amount of money is left untouched each year, with many individuals unaware that it is available for their college tuition. In Mississippi, there are many students looking to go to some of the best universities in the state, but they are having difficulty finding funding. If you are a prospective student in Mississippi, you may be currently searching for scholarships and grants. There are a variety of institutions that provide Mississippi students with grants. These institutions and organizations can be characterized as federal, state and private. Grants differ from scholarships in many ways. While scholarships are usually awarded to students based on excellence in academics, many grants are awarded based on challenges students may face. There are also grants awarded to students based on nationality, hobbies or skills. Grants are unique because the factors by which students are awarded are very different. A student can simply be awarded a grant because he or she lives in Mississippi. Students may have a difficult time finding these grants initially. Many grant programs are not publicized. Interested students will have to go the extra step and find the grant program that will help them make their college dreams come true. Students looking for grants for college would usually refer to the Mississippi Board of Trustees of State Institutions of Higher Learning. The Federal Supplemental Educational Opportunity Grant (SEOG) is available to students that are pursuing their first bachelor’s degree. Students who are awarded this grant receive up to $4,000 per year. However, the exact amount received depends on the college or university. For example, the University of Mississippi’s grant funds cannot be more than $800 per year. Students are required to demonstrate exceptional financial need, in order to be eligible for this grant. Students can apply for this grant by filling out the FAFSA (Free Application for Federal Student Aid). The Pell Grant is available to every student in Mississippi that fills out the FAFSA form. However, financial need must be demonstrated for the student to be eligible. Students are awarded up to $5,500 per year with the Pell grant. Once a student and his or her parent fill out the FAFSA, the U.S. government will create the EFC (Expected Family Contribution). The EFC is a report for each student detailing how much the family can contribute to the student’s college education. Pell Grant award amounts are based on the EFC and the amount of hours that the student is enrolled in college. For example, a full-time student may get the maximum award amount. Students who are pursuing their bachelor’s degree for the first time are eligible for this grant. The Federal Pell Grant is renewable and a FAFSA has to be completed every year to guarantee the award. Undergraduate students can be awarded the maximum of $4,000 per year. Graduate students can also be awarded the maximum of $4,000. Students can apply for the TEACH grant by filling out the FAFSA and a Request for Federal TEACH Grant form. Once awarded the grant, students will have to complete Entrance counseling. Within eight years of completing the program and graduating college, students are required to work within the teaching field. The Mississippi Tuition Assistance Grant was created by the Mississippi Legislature aimed at providing financial assistance to Mississippi students attending state-approved two-year and four-year colleges and universities. The grant is also aimed at providing opportunities for students to pursue post-secondary education in Mississippi. In addition to these various requirements, entering freshmen and current college students are required to view and read the grant program’s rules and regulations. The Mississippi Tuition Assistance Grant awards a maximum of $500 per year to entering freshmen and sophomores and $1,000 per year to juniors and seniors in college. Students can apply to this grant program by filling out an online application, which can be found at www.ms.gov. The Mississippi Eminent Scholars Grant is awarded to entering freshmen who are designated as National Merit/Achievement Finalists or Semifinalists and students that have received a 29 or higher on their ACT examination. In order to be eligible for this grant, entering freshmen should also have a 3.5 high school grade point average. Students must also be a resident of the state of Mississippi for at least one year and enroll into college full-time. This grant is renewable and an application is required each year. Students have to maintain a 3.5 grade point average to keep the grant. Applications can be found at www.mississippi.edu. Students who apply for this grant must be enrolled in a college or university and must have resided in one of the Sumners counties for 12 consecutive months. Students can be awarded a maximum of $5,000 per academic year. The amount of the award cannot exceed the cost of tuition, when it is combined with other sources of financial aid. The Sumners grant is renewable and an application must be completed every year. Students can find the application for the Sumner grant at www.olemiss.edu. The University of Mississippi has a grant program with a mission to provide education opportunities to students of all backgrounds. The Ole Miss Opportunity Program gives eligible residents of Mississippi the opportunity to obtain financial support for their college education. The grant is primarily used to supplement any college tuition that is not covered by federal, state, or private grants and scholarships. To be eligible for the grant, students are required to be residents of the state of Mississippi, be an entering freshman at the University of Mississippi and be enrolled full-time. In addition, the student’s family’s income should not exceed $30,000 and the student should have a minimum grade point average of 2.5. Students can apply for the Ole Miss Opportunity grant by completing the FAFSA. The Summer Developmental Program Grant is available to high school students in Mississippi that are involved in the Summer Developmental Program. This grant is different than the others because it helps students before they enroll in a college or university. This grant gives students the financial ability to enroll into the Summer Developmental Program. In order to be eligible for the grants, students must be a legal resident of the state of Mississippi, be accepted into the Summer Developmental Program, demonstrate financial need and complete the FAFSA application. Students can find more information on the grant program at www.mississippi.edu. Private grants can be used as a supplemental way of paying for college when the federal and state grants have been exhausted. Private grants and scholarships can come from private companies or organizations. Here are a few private grants and scholarships in Mississippi that can be beneficial to students. The Southern Regional Education Board Scholarship Program is open to college students and college doctorate students. This program primarily focuses on students that pursuing a career in Optometry or Osteopathy. 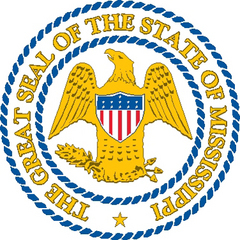 Students are required to be residents in the state of Mississippi in order to be eligible. The amount of the scholarship varies from year to year. Students can request an application by sending an email to seckels@ihl.state.ms.us. This scholarship program caters to the family of Mississippi law enforcement and firemen. Scholarships are awarded to the children of full-time law enforcement officers and firemen who were killed in the line of duty. This extraordinary scholarship program covers the student’s tuition for eight semesters. The scholarship is acceptable at all state-supported academic institutions in Mississippi. Students must be 23 years old and younger, to be eligible for the program. The Mississippi Law Enforcement Officers and Fireman Scholarship is renewable, with the amount of the award varying every year. Applications and more information can be found at www.mississippiuniversities.com. The Graduate and Professional Degree Scholarship Program is a program that is available to Mississippi students who are pursuing a degree outside of the state. There are some degree programs that interest students that are not available in Mississippi. This program is open to graduate students and doctoral students. The maximum award for this scholarship is $7,000 and this award is renewable. To be eligible for this scholarship, students must be a resident of Mississippi and be enrolled full-time in a graduate program in an out-of-state college or university. Students can look here at www.mississippiuniversities.com for more information on this scholarship program. This scholarship program is ideal for students that are enrolled in a teaching certification program. The award is open to high school students who will be graduating and entering college and undergraduate students. Recipients of this award are required to be a resident of the state of Mississippi. Applicants must show proof of passing the Praxis 1 exam, in order to be eligible for the scholarship. The William Winter Teach Scholar Program awards a maximum of $4,000 per year. Recipients of this scholarship are required to teach right after they have graduated college. This award is renewable. Students can find more information on this award and apply at www.mississippiuniversities.com. Nissan North America, Inc. provides scholarships to Mississippi students who will attend 2-year or 4-year colleges or universities. Each Nissan scholarship pays for the full tuition, other fees and books. The scholarship is for the entire length of the student’s college education. Have received a 20 on their ACT examination. The SAT I with a minimum score of 940 can be used in replaced of the ACT. Applicants can apply online at www.ms.gov. In addition to completing an online application, applicants are required to send in their supplemental forms, as well as their 200-word essay. There are a variety of grants and scholarships Mississippi students can choose from. When applying for a grant or scholarship, it is best to ensure that you have completed the application and sent in any required documents. I’m a married student at Mississippi State university and I would like to know what type of grants and scholarships I’m eligible for. Presently my son is in his 2nd semester at Ole Miss. We looking for grants and scholarships are offer to minorities. Any feedback will be very much appreciate.